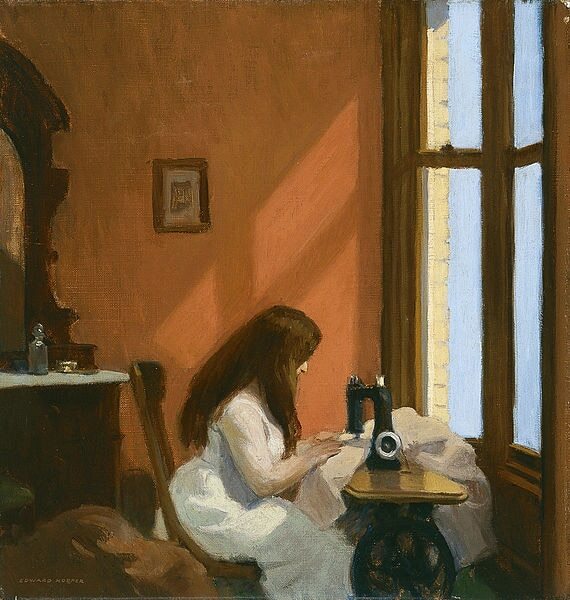 This week’s Fashion Inspired by Art is based on Edward Hopper’s “Girl at a Sewing Machine.” Read on to learn more about this work of art and to see three outfits inspired by this famous painting. Edward Hopper (1882-1967) was an American painter known for his works depicting American life and solitude. He painted mostly seascapes and cityscapes, though he is more well known for the latter. Despite not being a particularly prolific artist, Hopper’s influence can be seen in many other creatives’ works, including Mark Rothko and Alfred Hitchcock. Start with a tartan skirt full of the same warmth as Hopper’s painting. Oxford heels were popular in the 1920s, and the utilitarian sole on this pair makes them perfect for the winter. Stay warm with a thick parka, and grab a classic satchel to complete the look. The girl’s white dress might not so practical for December, but adding winter accessories to a similar frock makes it perfect for a coffee date or another casual outing. Keep the ensemble from getting too dreary by layering on a bright knit sweater. A white sweater dress might seem drab, but pair it with colorful tights, layer a denim button-down underneath, and you’ll have a cozy and fashion-forward look. Hint at the utilitarian nature of Hopper’s painting of domesticity with a pair of tough work boots and a necklace of sewing needles. Do you like Hopper’s work? Which of his paintings do you like the most? Who’s your favorite American painter? 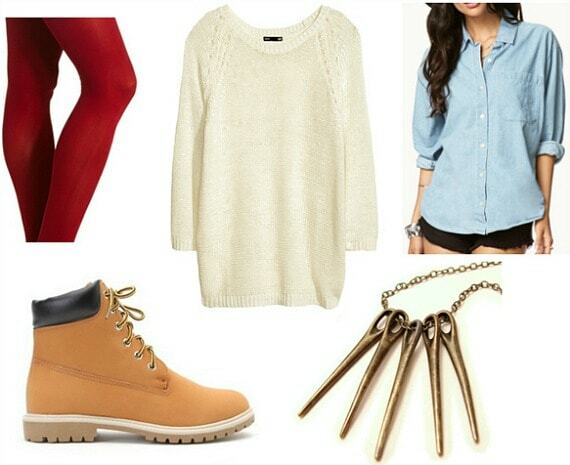 What do you think about the inspired outfits? Which one is your favorite? Let me know in the comments below, I’d love to hear your opinions!